The world is full of armchair commentators when it comes to cars. At Supercars.net we have a number of journalists and automotive publications we rely on when we want to get unbiased opinions from people we admire. Below, we’ve outlined some of the things these experts had to say about the new Aston Martin V8 Vantage. We have included snippets only so definitely dive deeper into their content for find out the details behind their assessments. Please support these awesome publications because they invest a lot in the details, amazing product photographs and great writers. While most reviews highlight that this is an incredibly important car for Aston Martin, the general consensus seems to feel that the bold move away from GT car and towards sporting prowess, with all the modern touches that go along with it, has been a step in the right direction for Aston Martin. Evo’s Henry Catchpole gives his thoughts on the Aston Martin V8 Vantage in this review from the car’s launch. Jared Gall drove the Vantage for Car and Driver in Portugal at the Portimao circuit, in slithery wet conditions with little visibility. Despite the meteorogical challenges, he still managed to enjoy himself. 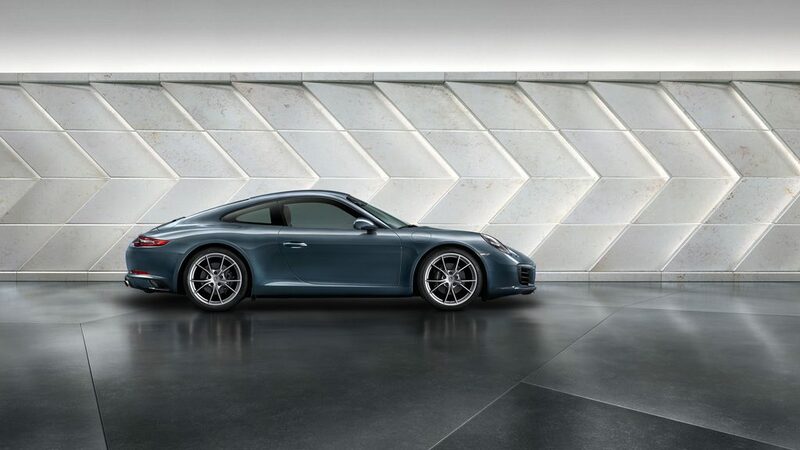 One does not simply build a sports car without considering the 911. With Aston Martin’s engineers reportedly citing the 718 Cayman as their benchmark for handling in the development of the Vantage, it’s clear they pay heed to the masters in this field. On power, the Aston has the German car licked; 503hp to the current 991-generation Carrera’s 370hp. Both have history, with nameplates stretching back to 1963 for the Porsche and 1977 for the Vantage. Put these two toe-to-toe on track and it’s sure to be an interesting fight. A fellow Brit to the Aston Martin Vantage, the F-Type SVR similarly features a V8 up front as its power plant. However, power is up on the Vantage; the SVR produces a mighty 575 hp and 516 lb-ft of torque, which is sent to all four wheels with a special e-differential that allows for torque to be scooped around between the front and rear to keep it glued to the surface. A bit more track-focused than the Vantage, nevertheless its price is right – the F-Type SVR will set you back $126,945 – around a $25k cheaper than the new Aston. 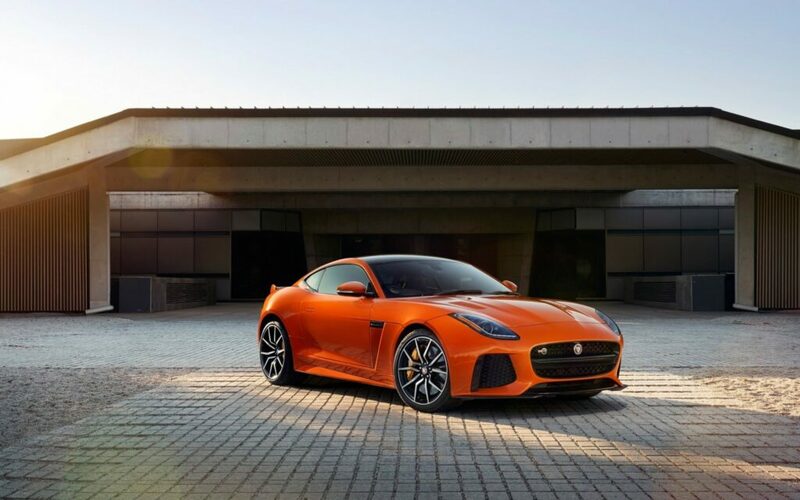 The F-Type is based on slightly older tech than the Vantage – the model has been in production since 2013, though the SVR variant arrived in 2016 – but for those with the cash to spend on a car like this it may come down to a question of character – the big, brawny old-school V8 Jag or the lithe, new rear-wheel drive Vantage. 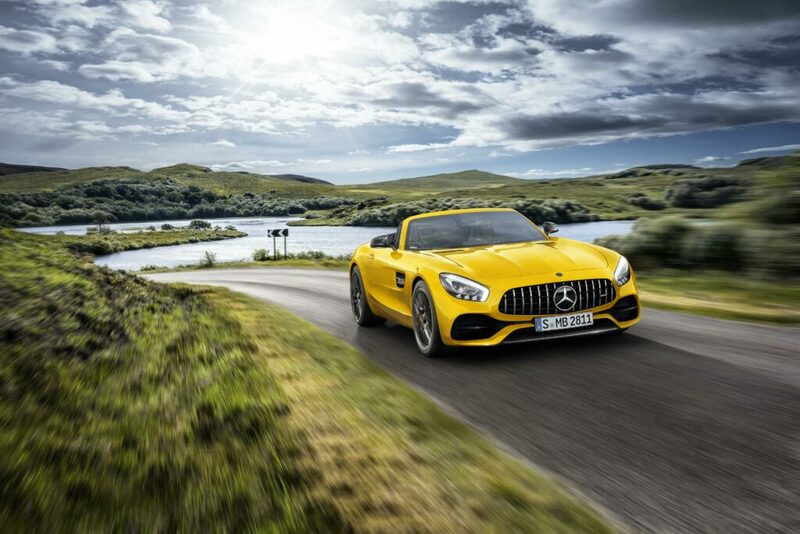 Featuring the same 4-litre twin-turbo V8 heart as the Aston Martin Vantage, the Mercedes-AMG GT S sits pretty at 515 hp and 494 lb-ft of torque. While no drop-top variant of the Vantage is available yet, the GT S comes with the addition of millions of miles of sky, if you’re into that sort of thing. 0-60 in 3.7 seconds in the Mercedes-AMG is bested by Aston Martin’s claim of 3.6 seconds for the dash in the Vantage, while both come with electronic differentials, rear-wheel drive and in a range of vibrant colours. 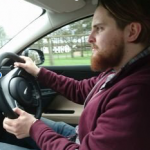 er… the Aston Martin Vantage? 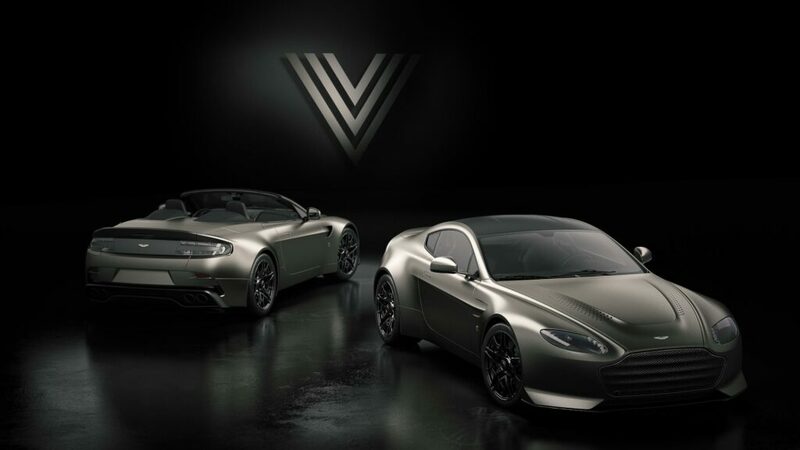 This is a bit of a sneaky one – Aston Martin announced recently that a limited run of cars – dubbed the V600 – would be built based on the old Vantage platform. Featuring the charismatic 6-litre V12 mounted up front (of course), this blast from the past produces 600bhp so should prove significantly nuttier on the road than the 2018 Vantage V8. Details on pricing are sketchy at the moment, though with just fourteen models being built it’s likely to be much, much pricier than the new Vantage. 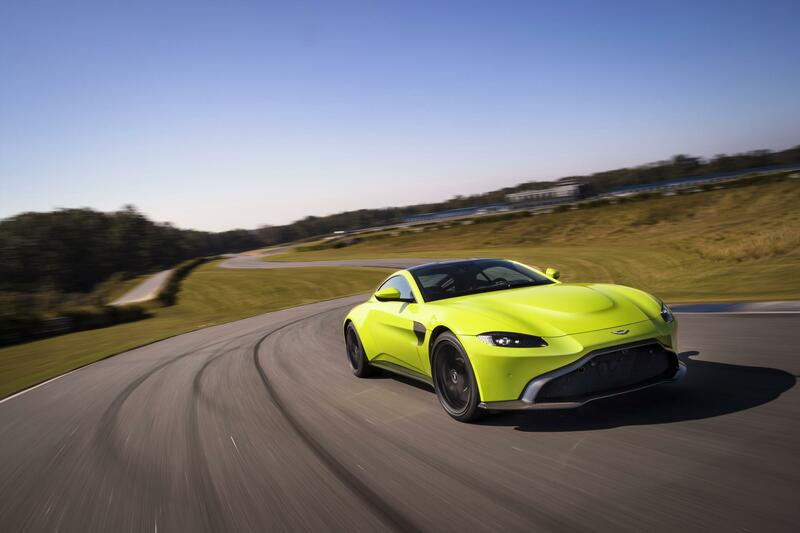 The Japanese supercar slayer would likely give the new Vantage a run for its money on a lap of the Nordschliefe, but the twin-turbo V6 while potent would not be a match for the Vantage’s characterful V8. If all-out performance is your thing though, look no further. 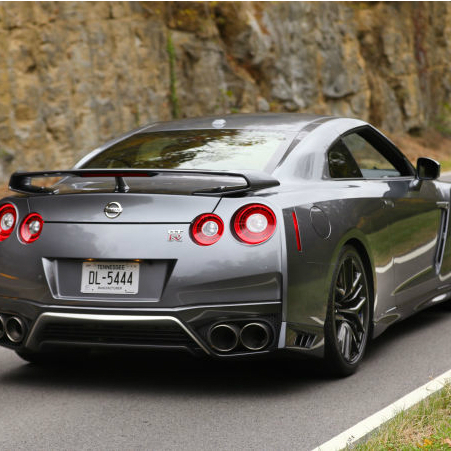 That V6’s 565hp is transferred to the road via a class-leading all-wheel drive system, while Bilstein dampers and adjustable suspension keep those four wheels planted, making the GT-R feel at times like it is on tracks. 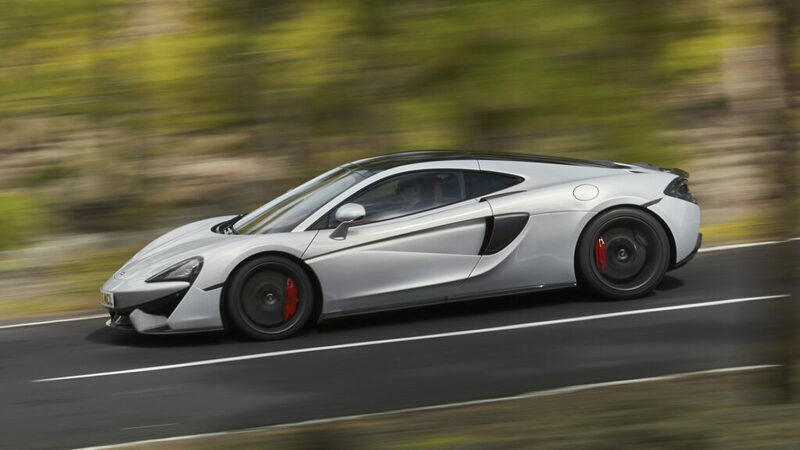 If you’ve got a bit more than the $149k or so required for entry into the Aston Martin Vantage, and are seeking something with a little more dynamic ability, then the McLaren 570S may be just what you’re looking for. At $184,900 it’s more than a little bit more expensive than the Aston, but with the lightest weight in its class and the highest power to weight ratio, you’d be hard pushed to get anything quicker on track this side of $200k. The Aston Martin Vantage enters the market at a time when competition is plentiful at its level. It writes a lot of cheques with its athletic stance but thankfully those are cashed – and then sum – by the performance from the moment that 4-litre V8 rumbles in to life. Concerns that putting a German heart in the British bruiser would lessen its appeal have been smashed to smithereens; this car still has heart, and a crackling exhaust note to boot. It’ll put a smile on your face, especially if you spec it in one of the more ridiculous colour options that Aston Martin is offering. With the new Vantage, Aston Martin has pushed its boundaries. We’re very glad they did, and excited to see where it leads for the brand.